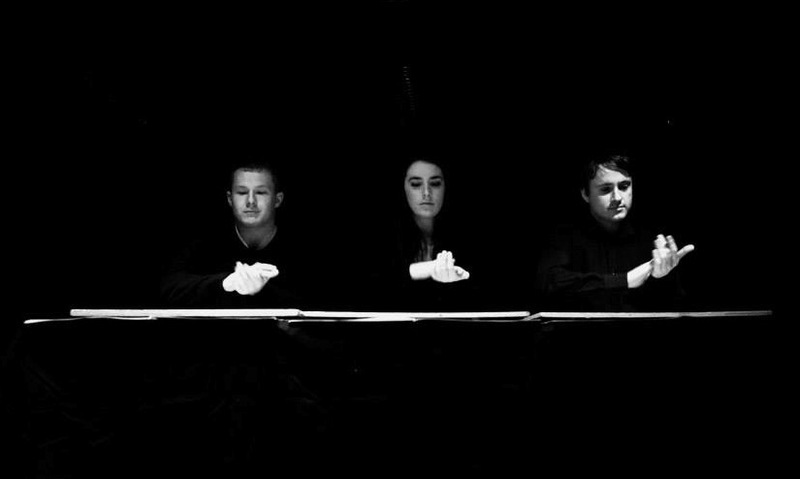 The Bangers and Crash Percussion Group is a collective of Irish percussions who regularly collaborate for a wide range of projects. Their flexibility means that they can perform everything from huge, spectacular shows that fill the stage with instruments to small, intimate concerts, school workshops, street performances and much, much more. Recent projects include performances at Body&Soul, Westport Arts Festival, Killaloe Chamber Music Festival, Sounds from a Safe Harbour, Kaleidoscope Night and much more. Outreach programme hosted by the Cork County Council Arts Office music education programme in collaboration with West Cork Music, which features workshops and short performances in various schools in Co. Cork. Two members from Bangers and Crash Percussion Group will visit 10 schools over a period of one week. Outreach workshops for primary school children demonstrating the links between science and music. 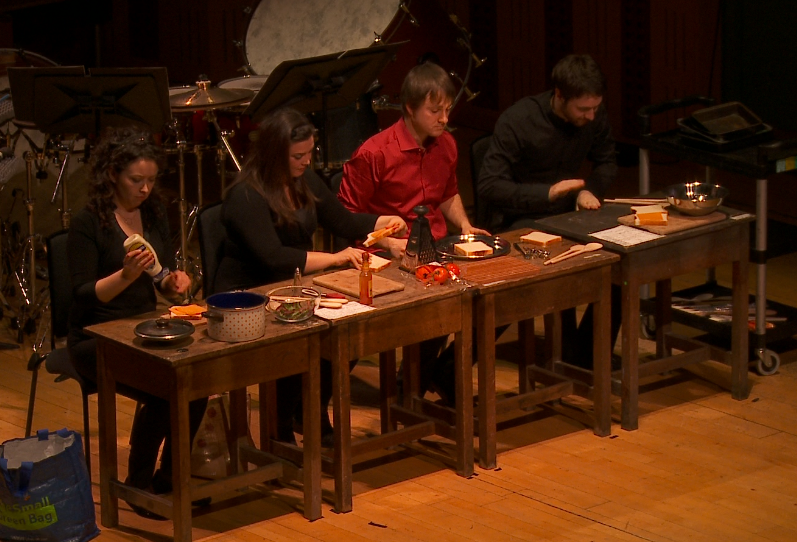 Participants created their own instruments through play and experimentation, used those instruments in a performance setting, learned about sound as a wave and much more. One performance and workshop for the West Cork Chamber Fringe festival. The group have designed fun and interactive workshops that can be tailored to suit any age-group. In addition to demonstrating a large range of percussion instruments through performance, the students learn the basics of making music as an ensemble by direct participation in a series of games and exercises. The topics covered include an introduction to more than 30 instruments from all over the world, their history, the use of the body as a percussion instrument, the role of percussion in the orchestra, their use in film and cartoon music, their potential to create atmosphere as well as rhythm and much, much more. "The group showed us a wide variety of percussion instruments and played beautiful sounds and music for us. Percussion instruments were explained and there was direct participation by the children, a lovely time was had by all." Hailing from Cork, Caitríona first played percussion in the Ballincollig Concert Band at the age of four, playing an egg shaker! Now Dublin based, Caitríona performs regularly with the R.T.É. 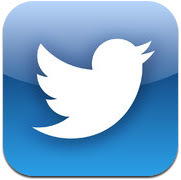 orchestras, Wexford Festival Opera Orchestra, Irish Chamber Orchestra, Ulster Orchestra and the Dublin City Jazz Orchestra. Also a busy drummer, Caitríona has recently performed with Declan O'Rourke, Hayley Westenra and Rebecca Storm. She has performed in a host of theatre shows, one of which was Alice in Funderland, directed by Wayne Jordan at The Abbey Theatre. In addition, she performed as an actor/music in productions by the Cork Operatic Society where she had to perform entire operas from memory at the Everyman Theatre. 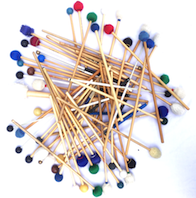 As an orchestral percussionist Brian Dungan works regularly with the RTÉ National Symphony Orchestra, the RTÉ Concert Orchestra, and the Ulster Orchestra. He is also timpanist and a founding member of Fishamble Sinfonia. Brian loves to perform new music. For Northern Ireland Opera in Belfast Brian played the frenetic percussion part – with its massive instrumental array extending to fishing reels and bags of broken crockery – in the Irish premiere (2017) of Thomas Adès’ Powder Her Face. He played more Adés (the Irish premiere of Totentanz with the RTÉ NSO) as well as John Cage (Living Room Music) with Bangers and Crash at the 2017 New Music Dublin Festival, and Steve Reich’s Music for 18 Musicians in a joint performance with Crash Ensemble, Bang on a Can Allstars and Sō Percussion in 2014. He is assistant to Richard O’Donnell, director of the RIAM Percussion Ensemble, with whom he has toured to New York many times since 2010. 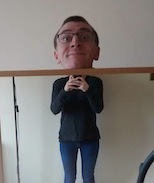 Aside from music, Brian enjoys reading, sports of many kinds, agus tá grá mór aige don Ghaeilge agus don Ghael-chultúr (Irish language and culture). 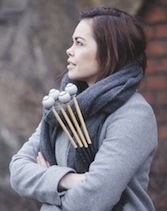 Emma King is a London based female percussionist with experience in Folk, Pop, Rock, Musical Theatre and Classical genres. Since completing a Bachelors Degree at the Guildhall School of Music and Drama, Emma has been making her name well known on the UK scene as a versatile musician with expertise in multiple genres and styles of music. Throughout her career Emma has performed in masterclasses with Tom Greenleaves (Gewandhaus Orchestra Leipzig) Chris Lamb (New York Philharmonic) and soloist Colin Currie. Within the pop industry she has worked with X Factor star Gamu Nhengu, Ralph Salmins (Dionne Warwick, Diana Ross, Paloma Faith, Robbie Williams), Andy Gangadeen (The Spice Girls, Chase & Status) and gospel producer Nicky Brown. She joined the West End/Broadway Percussion show STOMP in 2014 and has toured extensively throughout Europe, Asia and South America with the company. Chris Stynes received his BA in Music Performance from the Royal Irish Academy of Music in 2009 where he studied under Richard O'Donnell. 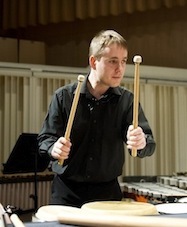 In demand as a freelance percussionist he performs with the RTÉ National Symphony Orchestra, RTÉ Concert Orchestra and Wexford Opera Orchestra, amongst many other Irish groups. He has toured extensively in Europe, the United States and Asia and has been involved with numerous CD, DVD and film score recordings as both orchestral player and marimba soloist. In July 2010, he travelled around China with the Dublin Philharmonic culminating in a live performance on Chinese television. 2012 saw a successful Music Network tour with CAN percussion trio, alongside fellow musicians Noel Eccles and Alex Petcu. A strong advocate of music education, Chris has been a member of staff for the National Youth Orchestra of Ireland since 2011. 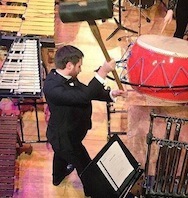 He is also percussion manager for the annual Irish Association of Youth Orchestras Festival since 2007 and manager of the Dublin Youth Symphony Orchestra since 2014. An Irish musician of Romanian origin, Alex is quickly establishing himself both nationally and internationally as a percussionist of the finest calibre. His recent appearances as a soloist with both the R.T.E. National Symphony and Concert Orchestras, and as the solo musician in Shakespeare's "Twelfth Night" at the Abbey Theatre are some of his main highlights so far. He has also been chosen to be the National Concert Hall Rising Star recitalist and an artist in residence for the Cork School of Music for 2015. 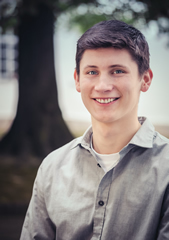 He recently won first prize at the Irish Freemasons Young Musician of the Year competition and reached the semi-finals at the Tromp International Percussion Competition, one of the most prestigious percussion competitions. 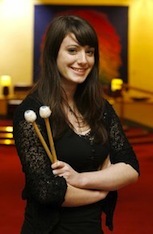 Maeve O'Hara is a percussionist and music teacher based in Dublin. She holds a Bachelor of Arts degree in Music which she gained while studying at the Royal Irish Academy of Music with Richard O'Donnell. Since graduating in 2010, Maeve has performed, toured and recorded with various musical groups in Ireland including the RTE National Symphony Orchestra of Ireland, the RTE Concert Orchestra, the EQ Ensemble, Opera Theatre Company, Ensemble ICC. She is also a member of traditional group, Ensemble Eriu. In addition to her activities as a percussionist, she also sang with Anúna for a number of years and performed both nationally and internationally including parts of Europe, China, Canada and the USA. Originally from Waterford, Kevin Power is a member of the Irish Defence Forces and serves with Band 1 Bde, Collins Barracks, Cork. A busy percussionist and drummer, Kevin divides his time between performing with the army band, teaching and a range of other gigs and projects. He recently received a BA from the C.I.T. Cork School of Music and is currently undertaking a masters at the same institution. Kevin has participated in a number of projects with Bangers and Crash, including a number of performances of Musique de Table by Thierry de Mey, some workshops and more. Clare O’Keeffe started learning piano when she was 6 and took up playing percussion when she was 12 years old. 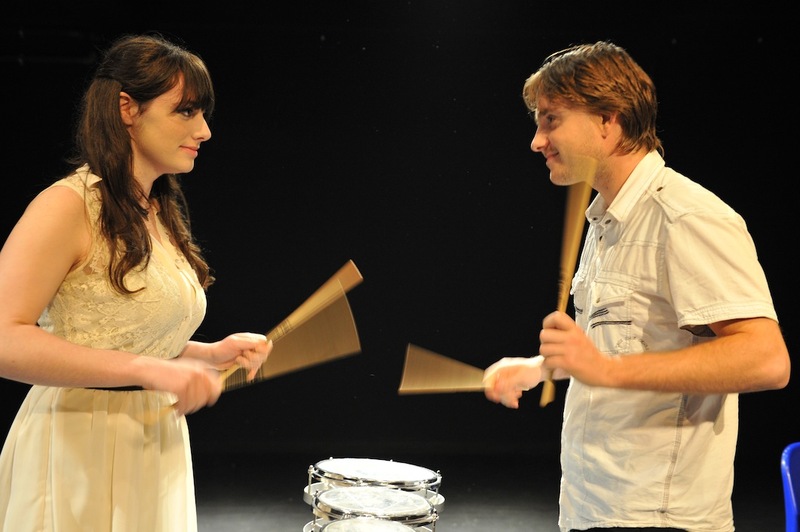 She recently received her MA in music performance from the Cork School of Music and has since, performed throughout Ireland as a freelance percussionist. She regularly performs with the RTÉ National Symphony Orchestra and RTÉ Concert Orchestra. She has performed with the Crash Ensemble on a number of occasions and also with the Bangers and Crash Percussion Group for West Cork Music's Tuning Up programme and a variety of other projects. 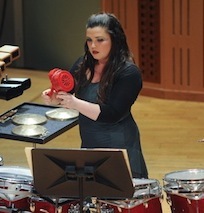 In March 2012, Clare travelled to New York with the Royal Irish Academy Percussion, and has also performed with the Irish Youth Wind Ensemble and National Youth Orchestra. She takes great inspiration from percussionist Evelyn Glennie and Clare’s ambition is to be a member of a professional orchestra. 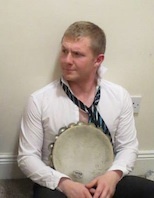 Hailing from Dublin, Paddy started learning percussion at the Royal Irish Academy of Music with Richard O'Donnell as his teacher. He then moved to Glasgow and completed his degree at the Royal Scottish Academy of Music and Drama. Since then he has performed in a variety of groups and ensembles that includes everything from rock bands to orchestras. He was recently on trial for Scottish Ballet and has performed with the RTE orchestras, Wexford Festival Orchestra and more.